Officials say 295 bears were killed. Critics say a lot more died and even more were wounded, left to die slow, lingering deaths. 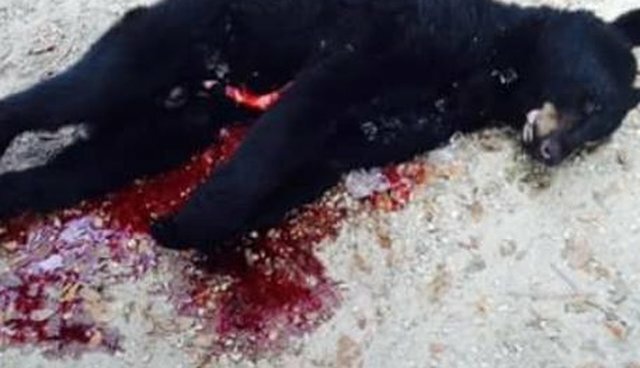 To stop this from ever happening again, join Facebook.com/stopbearhunt. The humane alternative? Bear proof garbage cans. JaneUnChained.com's Jane Velez-Mitchell was in Florida praying with Julie Watkins of The Girls Gone Green and others who fought the shameful bear hunt of 2015 as heartbreaking images poured in from brave animal activists documenting the carnage!